January of 1968 saw two of the most serious incidents to occur on the Korean peninsula since the end of the Korean War. Skirmishes had become common along the demilitarized zone since 1967, but none were more brazen than the attempt by North Korean commandos to assassinate President of South Korea Park Chung-hee the night of January 21. An elite North Korean unit successfully crossed the DMZ and came within 100 meters of the Blue House, the president’s official residence, before being thwarted by South Korean security forces. 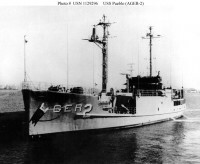 The failure of this mission may have prompted the North Koreans to seize the American naval intelligence ship, the USS Pueblo, on January 23. While collecting signals intelligence in international waters near the North Korean coast, the ship was attacked and captured, with one crew member killed and the rest taken hostage. The North Koreans claimed the ship had violated their territorial waters, an accusation which the United States vehemently denied. Diplomatic efforts to free the hostages dragged on for eleven months, until they were repatriated on December 23, 1968. The tensions that arose from these two incidents nearly sparked another major armed conflict on the peninsula and strained relations between the U.S. and South Korea. Richard A. Ericson was the Political Counselor in Seoul at the time; he was interviewed by ADST’s Charles Stuart Kennedy beginning in 1995. Listen to the podcast here. Read other Moments on Korea. ERICSON: To the Koreans, the Blue House raid was certainly the most critical event — and I mean the Blue House raid, I do not mean the Pueblo — during that 1965-68 period, because it came as the culmination of a long series of incidents on Korean territory. People were very tense and [South Korean President] Park used this tension to justify many of his repressive measures. As I say, he was very fond of quoting President Lincoln to all the congressmen who came through protesting these measures, both during this period and my later assignment. Thus the Blue House raid came at a time when there already was a hell of a lot of tension. Park was feeling very unhappy about a number of things. He was beginning to think, I believe, that his commitment to Vietnam had weakened him too badly. He was starting to agitate for more military aid to Korea. And then we got reports that thirty or more well-armed North Koreans had been seen inside the DMZ by a couple of woodcutters. They had been allowed to go back to their village with a warning that if they told anyone that North Koreans were in the country the intruders would come back and wipe out the whole damn village. Well, of course word spread immediately through the South Korean government and it threw up road blocks, mobilized internal security teams, and covered all the routes into Seoul. But the infiltrators just plain disappeared. For two days they were not heard from. Then about 9:00 p.m. on January 21, a cold, cold night, a column of men in South Korean uniforms came marching from the North toward a police checkpoint on the road that ran along the south side of Puk-san toward the Blue House [the official residence of the South Korean head of state]. This checkpoint had been established specifically to look out for the infiltrators. The police challenged this column and their leader, using remarkably good Korean psychology, told the South Korean policeman to button his damn lip. He said that his men were ROK CIC [Republic of Korea Military Intelligence] returning to the barracks following a search mission. He sneeringly told the police that they should know better than to muck around with the CIC. And, of course, the police backed off. But one of the guys in the police block was a little annoyed by this. He felt it was embarrassing to be talked to like that. So he radioed his headquarters to complain that they should have been warned that there were CIC in the area. The headquarters came back after a while and said, “There are no CIC in your area.” A police lieutenant on duty at the Blue House heard the broadcast and decided to investigate. He got into his jeep and intercepted the column. By this time it was within 800 yards of the Blue House and into a fairly heavily populated area. Seoul in those days was not all that populated to the north; now it is. You couldn’t do this thing today. The lieutenant challenged the column and was promptly killed. The North Koreans opened fire on him, but in the process they opened fire on everybody else around them, killing and wounding a number of civilians, including passengers on a bus. Then, strangely, they separated into groups of two or three. They apparently had no dispersal plan, no contingency plans as to what they should do if something happened before they got to the Blue House. To make a long story short, they split into small groups and the ROK devoted enormous resources to rounding them up. 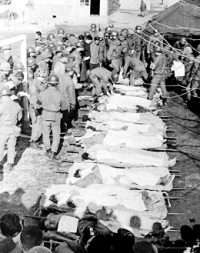 They captured two almost immediately, I think two more just disappeared and were never heard from, and the rest were all killed in fire fights with ROK security forces. Of the two they captured, one they took to the local police station. Once inside, he managed to detonate a grenade he had concealed on his person, killing himself and about five senior Korean police officials. They didn’t shake him down very well, obviously. But the other one, after severe interrogation, broke down and told all about himself and his unit. We were not aware that there were units of this kind, but he said there was an organization of at least a thousand people currently undergoing training in North Korea for just such missions. The Korean military had never heard of anything like this, so they asked him where they had trained. He told where the camp was and drew a map of its layout. When the spy plane photographs were developed, the camp was where he said it was and his map was almost an exact overlay of the photos. They asked him whether these units used radio during their training. Yes. Frequencies? He gave them frequencies. The ROK denied ever having heard anything on these. He suggested they try again, and up they came. So we began to believe this guy. He said that their primary mission was to assassinate President Park. They were supposed to deploy not very far from where they had been intercepted, they were getting pretty close. Their idea was to rush the Blue House, raise hell, and kill Park, who was there. He also said that their original mission had been to split into three groups, one of which was to go to the American military headquarters at Yong-san and kill the UN Forces Commander and other senior officers, such as the UN representative to the Armistice Commission. The third group was to come into American Embassy Compound One and kill the Ambassador and anybody else they could lay their hands on there. As I say, we believed him. It so happened that the girls high school right next to the wall of that compound had a very large open play area, but a new building was being constructed right alongside the wall, where a lot of construction materials were piled. The wall might as well not have been there. We had armed security guards, but we didn’t trust them all that much. So, at that point the Ambassador issued a weapon to each family in Compound One and some residents of Compound Two. And the UN Command designated a platoon of tanks to stand by to go to our rescue should the North Koreans come again. The tank crews were billeted in the Yong San post gymnasium, thus depriving soldiers and high school kids of their basketball court, and the tanks got lost trying to find the compound on the one attempt they made to hold a dry run of the rescue effort. But the knowledge that they were there was reassuring to some. Of course, the Blue House raid was never duplicated, but the North Koreans had succeeded in making everyone nervous. Anyway, Park went ape over this incident. It came close. It clearly demonstrated that his phobia on assassination was well grounded and he reacted by doing what he occasionally did in periods of great stress. He went up to the mountains with a couple of friends and a couple of ladies and a large supply of alcohol and disappeared. But we got stories that he was enraged, just beside himself, out of control. Now, the Koreans looked upon this threat to their president as a major, major event, and we were seriously concerned that out of that mountain fastness of his would come the order to go get them, to cross the DMZ, seeking retaliation of some kind. But he was out of touch and there was no way that you could get to him directly. Meanwhile, the ROK security forces were hunting down the infiltrators and finally found all but one. The way they broke the one prisoner, incidentally, was to align all of the bodies on a hillside, 26 or 27 corpses in various states of disrepair, and march their prisoner along the line. This was a man who was still refusing to talk. When his escorts reached the last body, they kicked its head and the head rolled off down the hill. At that point, they say, this fellow decided that he would be willing to tell all. 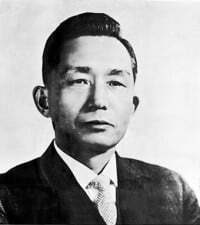 As far as dealing with the North Koreans was concerned, some ROK generals felt that if they weren’t going to declare war, they should at least haul the corpses up to Panmunjom and, after flaying the North Koreans verbally, dump them on the conference table. However, calmer heads eventually prevailed. The Pueblo was Noah’s Ark rigged with electronic listening gear. I say Noah’s Ark because it was what we used to call a Baltic Class freighter, a slow, most inefficient, very small coastal freighter. I forget what its tonnage was. Maybe under a thousand, I can’t remember. It was not armed, except for a few small arms. 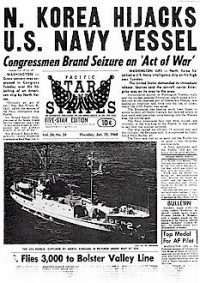 It was a sad excuse for a U.S. Navy vessel. But this particular ship was one of the Navy’s electronic intelligence gathering vessels and it had replaced a similar ship called the Banner, which had been there for quite some time. It was fairly new on the job, but it had been patrolling up and down the coast of North Korea, picking up what it could by way of North Korean electronic activity. CINCUNC [Commander in Chief, UN Command] may have known it was there; I don’t know. But the ambassador was not informed and neither were the South Koreans. It was approached by North Korean patrol boats off the North Korean port of Wonsan. I think it was pretty clearly in what we considered international waters. It was likewise pretty clearly not in what the North Koreans considered international waters. They were claiming a 12-mile limit at the time and the ship’s orders were to stay outside the three-mile limit. The North Koreans were certainly aware that it was there and had been for some time. They had tolerated it, probably not wanting to kick up a major fuss. But then when the Blue House raid came along, they took it, killing one seaman and capturing eighty-two…. They were fearful that since the Blue House raid had failed to kill Park, he might order some kind of major hostilities and they didn’t want a vessel with this kind of capability there. It was something to be gotten out of the way. You have to remember the North Koreans had been taking South Korean boats on the high seas regularly. It was their habit to pick up South Korean fishing boats, take their crews off, brainwash them and send them back to South Korea. There had probably been 50 to 100 incidents of that kind. I don’t think they were fully sensitive to what the taking of a U.S. naval vessel would mean to us. Anyway, it turned out that it meant a great deal to the U.S. as a nation and to its leaders, much more than the Blue House raid. One of our major points of difficulty with the South Koreans was that they thought the Blue House raid, an assassination attempt on their president, was by all odds the more important event. To them, the Pueblo was a sideshow. And back in the United States, Americans from Lyndon Johnson down thought that the Pueblo seizure was the heinous crime of the century and the Blue House raid was something few had heard about. That became a real bone of contention between us. Washington reacted violently to the Pueblo, and Johnson ordered the carrier Enterprise, which had just finished a visit to Sasebo, to come steaming up the east coast of Korea and to station itself off Wonsan. The idea was maybe we were going to take out Wonsan and all its defenses and recapture the ship. Or perhaps it was simply to intimidate the North Koreans into acceding to whatever demands we might make for reparations. All kinds of wild ideas were floated about what our reaction should be. Our main concern in the embassy was trying to get Washington to focus on the fact that there was a real problem with the South Koreans because of the Blue House raid and the disparity between our reaction to it and the Pueblo. We were not concerned as much with the North Koreans, who probably were not interested in a real war at that time but who would respond certainly if attacked. That, of course, was what determined the United States to send the Enterprise back on its way. Those interested in a cold assessment of the situation rather than histrionics estimated that it would take everything the Enterprise had and probably a good deal more to penetrate the air envelope around Wonsan and that we might very well find ourselves facing a full-scale war in Korea if we tried to do anything of that kind. My own feeling was that if we had attacked Wonsan it would have encouraged Park to the point where he might just–UN commander or no UN commander–order South Korean forces to go. The man was out of touch with reality during this whole period. So we had to figure out how to get the ship and the crew back. That is where we got into further difficulty with the South Koreans. The South Koreans, more emotional that rational, were already, many of them, looking at our reaction as pusillanimous. Of course they weren’t aware, although perhaps they should have been aware, that the forces that we had in Korea, two divisions, the 2nd and 7th, were in very bad shape. They had about two-thirds of their complement of troops, the shortfall being made up by KATUSAs [Korea Augmentations to the U.S. Army]. These were basically Korean soldiers detailed to serve with American units. That was always an iffy situation; they never fit in very well, although some of them did very, very good work and certainly without them we would have been in vastly worse shape. Incidentally, the Blue House raiders had deliberately come right through the 2nd Division’s lines. The captured raider said that they figured they couldn’t get through the South Koreans because the South Koreans did their patrolling, kept awake, did not smoke cigarettes on the line, did not huddle together for warmth and all that kind of thing. Whereas, he said, the Americans up along the DMZ smoked…. You could smell their smoke, you could hear them talking; they did huddle together when it got very, very cold and did rely on electronic sensors installed at American — but not South Korean — positions. But a lot of these sensors–anti-personnel radar, seismic detectors, and stuff like that–had been developed for battle in Vietnam. But unfortunately nobody had made sure they functioned as well when the temperature sank to 20 degrees below zero. And they didn’t. The Korean went up to the fence at the point where he indicated they had penetrated and kicked it, and a large section of the fence fell out. He knew exactly where to go, and this incident certainly enhanced his credibility. Incidentally, they had come down over the hills. During the two days that they were undetected it was way below freezing all day and all night. It was a marvelous feat of endurance, carrying all their equipment over rough and mountainous terrain in vicious winter weather and getting to Seoul so fast. How to get the crew of the Pueblo back became our main concern, but to us in Seoul placating the South Koreans was as important. And, of course, our tactics in getting the crew back made the South Koreans even angrier. The embassy wasn’t really consulted very much in this as I recall. The powers that be in Washington decided, once it became clear that negotiations with the North Koreans were possible, that they should be held at Panmunjom. We discarded various other possible places. And the North Koreans, with their own objectives in mind, wanted Panmunjom. Washington decided to use the United Nations Command representative to the Military Armistice Commission, at that time a U.S. Navy rear admiral, and his American staff and to do it at Panmunjom. Now Panmunjom has been called a village, but it is not a village and never was a village; it was just an inn. It is now and was then just a full-fledged armistice meeting place and it was regarded as neutral territory. It was close to the scene, with good communications for both the North Koreans and us and therefore had a lot to recommend it. The problem was the South Koreans regard it as their territory. The idea was our team would negotiate directly with the North Koreans and no other nation represented in the UN Command would be present. We wouldn’t take any of the UN Command members and most specifically we wouldn’t take any South Koreans. The North Koreans had the Chinese with them for every meeting from the very beginning. When word of our intentions reached the South Koreans, they erupted. When their initial protests were delivered to Bill Porter, then our ambassador, he gave them sort of short shrift and this enraged them to the point that they would not talk to him. They said that they would refuse to discuss this matter with Ambassador Porter. Anyway, we were going ahead to do it. Q: Was this being called pretty much from Washington? ERICSON: Yes, entirely. At first, it was being called by Lyndon Johnson personally. He was on the telephone a number of times when the Enterprise was there. The Department quickly set up an inter-agency crisis team. The South Koreans were absolutely furious and suspicious of what we might do. They anticipated that the North Koreans would try to exploit the situation to the ROK’s disadvantage in every way possible, and they were rapidly growing distrustful of us and losing faith in their great ally. Of course, we had this other problem of how to ensure that the ROK would not retaliate for the Blue House raid and to ease their growing feelings of insecurity. They began to realize that the DMZ was porous and they wanted more equipment and aid. So, we were juggling a number of problems. But once the venue for the negotiations was agreed on with Pyongyang, we had to find solutions for our problems with the South Koreans. Park, by this time, I think, had returned to Seoul. It was decided that I would be the operating officer in Seoul on the Pueblo negotiations. The official arrangement was that Admiral Smith, who was the UN Military Armistice Commission representative, would be the chief and only negotiator for us. He would take his negotiating team up there, all military personnel except for one Korean-American civilian employee (the invaluable Jimmy Lee) and they would conduct each negotiating session. They would then return directly to the embassy, where I and some of the political officers would debrief them. We would write the immediate reporting cable covering the highlights of what had happened, and then we would also transcribe and send the verbatim text of the meeting, which had been taped. Then we would review the transcript and concoct an interpretation of what had happened, what the significant points were, and add whatever comments and recommendations the embassy might have for what was going on. I am not sure what impact our recommendations ever had. Then, after that had been done, it was my job to inform the ROK Government of what had transpired, because as part of keeping them in place we had agreed to keep them informed of each step along the way. I would have to do this by going up to the Foreign Ministry, usually around 10 or 11 at night, into that freezing cold, enormous stone building, the old Japanese capitol which housed the Foreign Ministry, among others. The lights would be out and the elevators not working. I could hear a scurrying sound in the dark corridors of that ghostly building. I would walk up the four floors to the office of Park Kun, who was the director of North American Affairs at the Foreign Ministry at that time and my good golfing buddy. The Koreans’ idea was that only he and I could communicate on this subject because only he and I had a friendship capable of withstanding the strains created by this terrible thing that we were doing. The scurrying, of course, was newspapermen who were hiding around the building and would get a debrief from Park after I talked to him. I would sit down in Park’s office and he would read me the riot act. Every time I was told exactly how we were giving the North Koreans the status and propaganda ammunition they craved while trampling on the sensitivities of the South Korean people and undermining their confidence in us and in our alliance. I used to ask Park, ‘Why don’t you just put it on tape and I will take it home with me. Then we can get right down to business and I can go home and go to bed?’ But I think his diatribes were delivered under orders so that I would report duly that the South Koreans were still outraged. ….From about the first of April until I left in July there wasn’t that much to tell the South Koreans because meetings at Panmunjom were less frequent and there wasn’t all that much happening…. But in the first two months, when we were meeting almost every week, some interesting things emerged. For one, we got a good look at North Korea’s negotiating style. People should study the Pueblo sessions whenever there are negotiations with the North Koreans, because I think they show how their system functions and why they are so difficult. If the answer to the particular proposal we presented wasn’t in the cards, they would say something that was totally unresponsive and then go off and come back to the next meeting with an answer that was directed to the question. But there was rarely an immediate answer. That happened all through the negotiations. Their negotiators obviously were never empowered to act or speak on the basis of personal judgment or general instructions. They always had to defer a reply and presumably they went over it up in Pyongyang and passed it around and then decided on it. Sometimes we would get totally nonsensical responses if they didn’t have something in the card file that corresponded to the proposal at hand. George Newman, who was then DCM in Seoul, and I were quite proud of the telegram we wrote sometime in fairly early February, just before Washington finally decided to negotiate at Panmunjom. We called it the slippery slope telegram and it is somewhere deep in the Department’s archives. We based it on our analysis of what had happened in previous incidents, not like the Pueblo but the two or three incidents we had had of people who strayed across the border or got shot down, killed or captured. If you allow them to, they will take as much time as they feel they need to squeeze every damn thing they can get out of this situation in terms of their propaganda goals, and they will try to exploit this situation to drive a wedge between the U.S. and the ROK. Then when they feel they have accomplished all they can, and when we have agreed to sign their document of confession and apology, they will return the crew. They will not return the ship. This is the way it is going to be because this is the way it has always been. And that is pretty much what happened. We went back and forth, back and forth, for ten or eleven months. We very quickly abandoned the idea of getting the ship back. We figured it had been dismantled and all its sensitive equipment sent to Moscow. We thought they might eventually tire of holding the crew, because the propaganda value of holding the crew would erode with time and they might be leery of having the situation turn against them if the crew started to become ill and their care began to appear inadequate, as eventually it would. Of course, there were all these incidents of the crew being interviewed and sending messages by signs, etc. The crew held up pretty well I think, except for perhaps one or two members. He was replaced by an Army general named Woodward, who had dealt with communists and their negotiating tactics in Berlin. Smith had had absolutely no political dealings in his life. But Woodward came from this background in Berlin and his first words when he came to the Embassy to talk to us were, ‘Well, what are you bastards going to have me do? Let’s get it over with.’ He was the negotiator who achieved the final result. He was a delight to work with…. [Earlier] a feisty American Armistice Commission representative named Ciccollella had been negotiating for weeks for the return of the body of a helicopter pilot who had strayed into North Korean territory. The North Koreans had stonewalled everything and had insisted he sign a document admitting all sorts of evil intentions on the part of the dead pilot. General Ciccollella finally got authority to sign that paper. He continued with something like, ‘You people should be ashamed of your conduct. You are not worthy of wearing the uniform of a soldier. I spit on you.’ The North Koreans took it with equanimity, looked at the paper, saw it met their requirements, and returned the body. And that, on a larger scale, is essentially what happened with the Pueblo. I am given to understand that back in Washington, Jim Leonard – he was a member of the task force – was shaving one day and moaning because they hadn’t reached a solution and things were just stumbling along, when his wife asked whether they had tried offering to give the North Koreans the paper they wanted. The piece of paper they wanted of course was to acknowledge that the Pueblo was a spy ship, that it was trying to steal the secrets of the People’s Republic of Korea, that it had repeatedly penetrated (even though we had proven at the negotiations that it had not penetrated) their coastal waters without authority and with the intention of spying, and to apologize for the gross insult to the North Korean people. That was the essence of it. Leonard’s wife said, ‘Have you ever thought of giving them their piece of paper and then denouncing it orally?’ Jim took it to the Department and said, ‘Will you try this?’ It should have been suggested long ago because there was a history for it. They said, ‘Okay.’ And that is what happened. He did give them the piece of paper and he said in effect, ‘It is a worthless piece of paper and doesn’t mean a thing and is not a reflection of what happened. But we give it to you simply to effect the release of the crew.’ The crew came back. That period was, I think, the low point in our relations with the South Koreans. What happened on the Blue House raid and the Pueblo left the Korean’s feeling that we had behaved badly where their interests were concerned, that they were a hell of a lot weaker along the DMZ than they thought, there was more danger in Northeast Asia than they had thought, and that they had weakened themselves unduly by sending two divisions and a brigade to Vietnam.